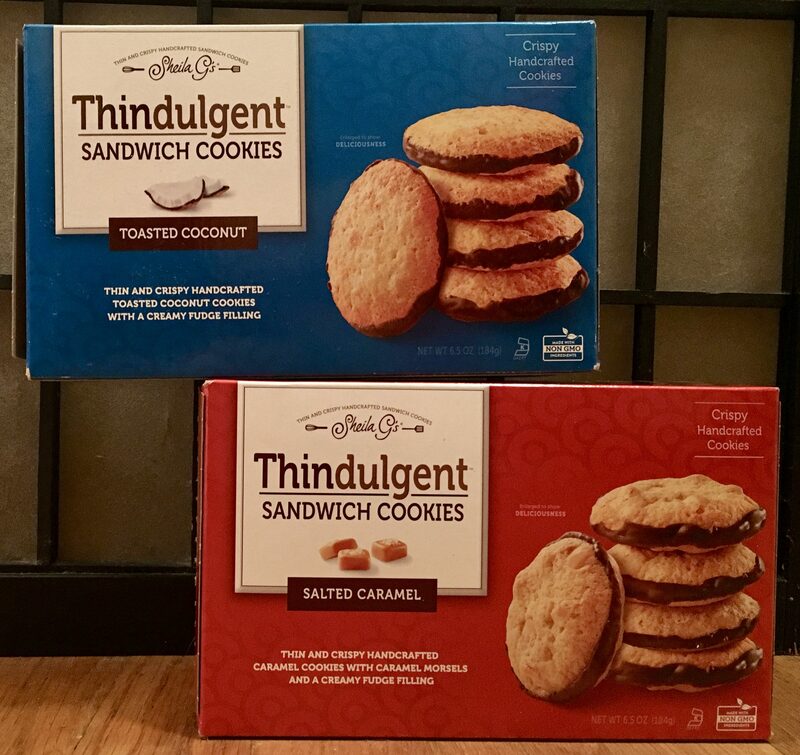 Brownie Brittle Introduces New Chocolate Almond Variety Plus Thindulgent Sandwich Cookies! 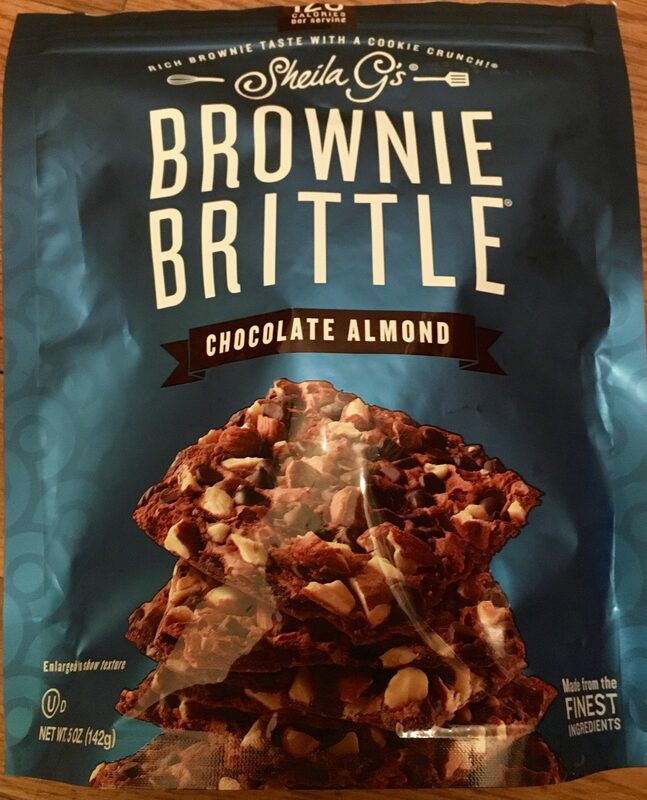 It is no secret that Brownie Brittle products are my snack-time jam. And what makes innovative baker Sheila G’s line of gluten-free sweet treats so endlessly exciting is the fact that they are always evolving the brand; introducing new varieties of the original Brownie Brittle chocolate cookie and developing new products that take indulgence to a new level entirely. Almond lovers are going to want to rush out to pick up a bag (or two) of their new Chocolate Almond Brownie Brittle, which is absolutely loaded with crunchy, fresh toasted almond pieces (and chocolate chips!) in every bite. I had taken photos for this review of the Chocolate Almond Brownie Brittle lounging seductively on a plate, but it somehow got lost in the ether between my iPhone and my Mac, so you will have to believe me when I say that, in person, it looks exactly as it does on the package photo — if not even more scrumptious. My advice is that, when snack time arrives, to just put a few pieces of Brownie Brittle on a plate for yourself, and then seal the package back up and hide it, otherwise you’ll be munching away happily and suddenly find yourself with an empty bag in your lap. Ask me how I know. Also new on grocer’s shelves are Brownie Brittle Thindulgent Sandwich Cookies, which exist among the most outrageously delicious edible things in the universe that you don’t have to bake yourself. Hallelujah! The Brownie Brittle brand stays on-trend with the introduction of these light and delicate cookies that pack a flavor explosion. 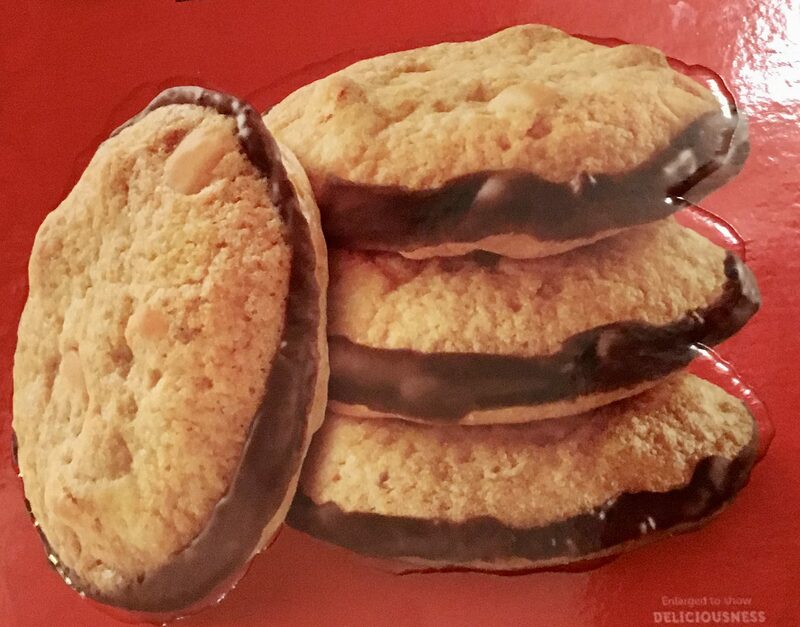 Salted Caramel Thindulgent Sandwich Cookies feature a dynamic duo of crunchy caramel biscuits plus a rich chocolate filling studded with chewy cameral bits. Insane! It took me 2 days to eat the entire box, and that is only because I was trying to show restraint. 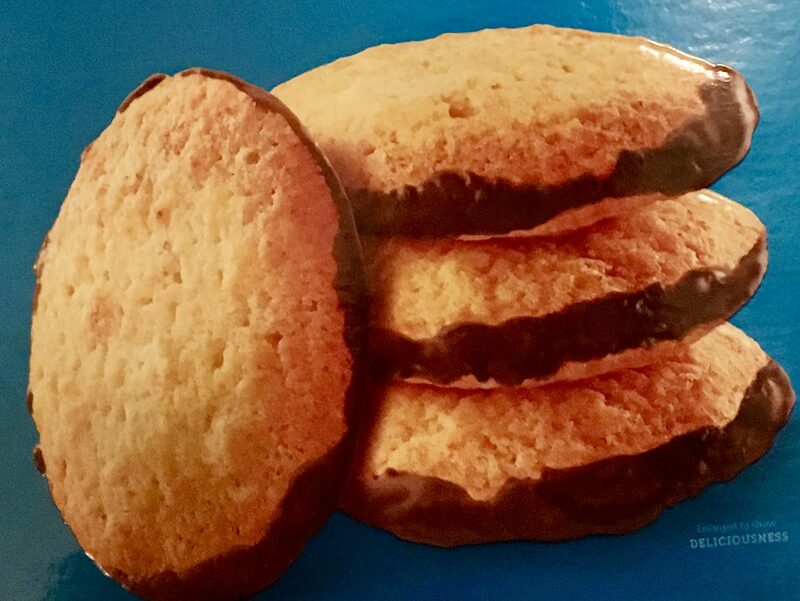 These lighter-than-air biscuits are very similar to the Pepperidge Farm European style cookies, specifically the wildly popular Milano Cookies, of which am a huge fan. The thing is, I like these even better! Toasted Coconut Thindulgents have the coconut baked into each biscuit, with the same luscious chocolate filling layered between them. These did not last long in my pantry either! 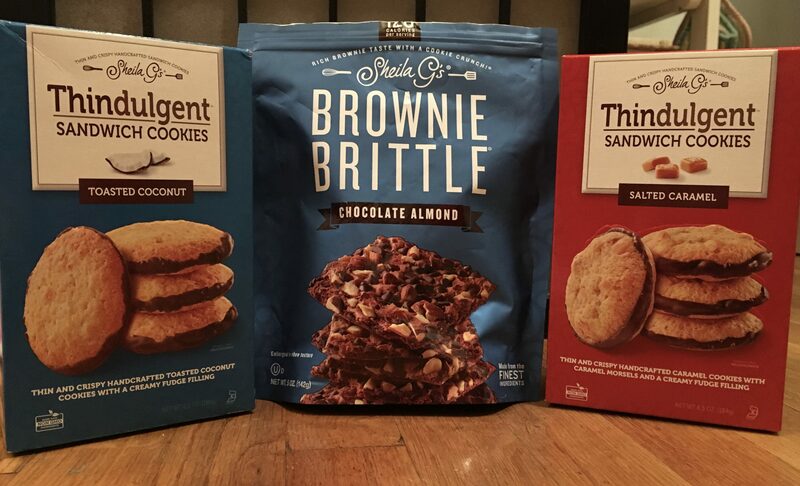 Find a site near you that sells Brownie Brittle products at This Link!